As far as iconic Canadian pop songs go, “Sweet City Woman” from The Stampeders is a bonafide classic. Released in 1971, the song put the Calgary group on the musical map. Formed in 1965 as The Redbounds, the group changed their name to The Stampeders before relocating to Toronto in 1966. Throughout the 1960s, musicians and artists of all types flocked to Toronto’s Yorkville neighborhood from across Canada and the U.S. to take part in the city’s buzzing counterculture scene. During those early days, the band was able to secure a pair of minor hits with tracks “Morning Magic” and “Crosswalk,” but it wasn’t until the decade’s end when they went from a six-piece to a trio that things really started to take off. Without their former bandmates to rely on musically, the three remaining members of the group had no choice but to hone their songwriting skills and better their recordings if they wanted to give The Stampeders a serious go. 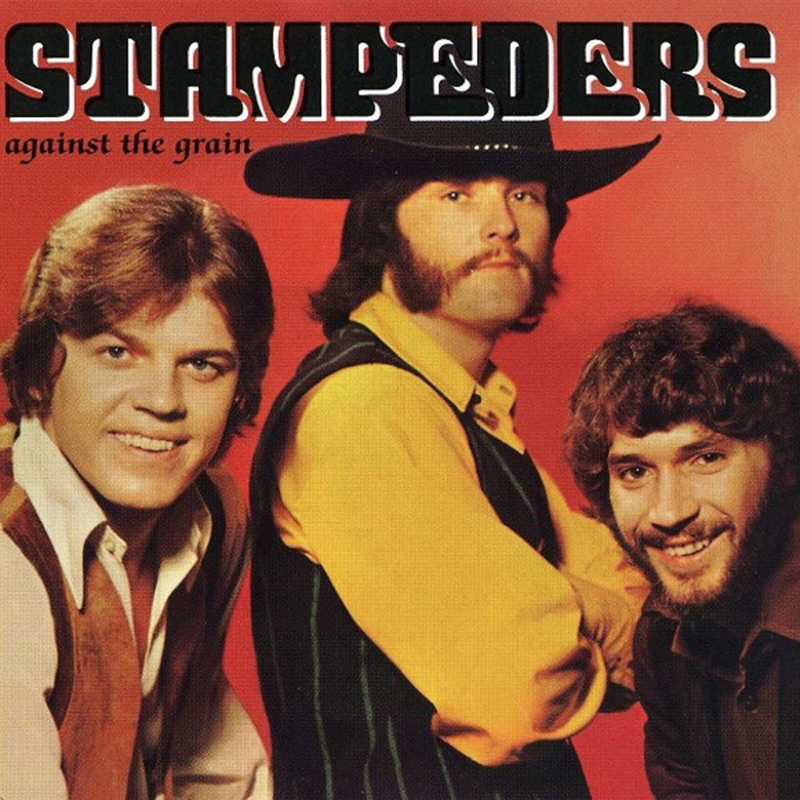 Late night recording sessions meant the band could get cheap studio time, which suited their circumstances, and the resulting 12 tracks became The Stampeders’ hugely successful debut album, Against The Grain. When the album’s first single, “Carry Me,” captured the attention of radio programmers and the public alike, the pressure was on to follow it up with something equally as good. Written in Dodson’s basement apartment near Bloor and King Street in Toronto, the song’s infamous banjo line was actually an on the fly decision he made on the way to the studio. “I had originally written that part as a guitar lick,” he says. “We were recording the album at Toronto Sound Studios and one day, on the way over, I rented the banjo because I just thought it would sound cool. It really was that wide-open back then. In spite of the label’s initial apprehension, Quality Records eventually agreed to release “Sweet City Woman” as the album’s second single and the track erupted across the Canadian airwaves. “CHUM radio couldn’t believe the sales. They actually sent their own person downtown to count the bins because they thought the store was lying to them,” says Dodson with a laugh. In the wake of the song’s chart-topping success in Canada (“Sweet City Woman” peaked at No. 1 on both the Adult Contemporary and Country charts) a representative from Bell Records in New York flew up to Toronto to meet with the band. Meanwhile at home, the band opted to release a French language version of their newly minted hit record. Having performed at Montreal’s famed Expo 67 a few years prior, The Stampeders had developed a steady following in the Quebec market. When pressed on the identity of his sweet city woman, Dodson played coy. The following year in 1972, the song went on to win a handful of Juno Awards including, Best Single, Songwriter of the Year (Rich Dodson), and Record Producer of the Year (Mel Shaw), with the band being named Canada’s Top Group overall. In the 35 years since the song’s original release, “Sweet City Woman” has sold more than three million copies worldwide. In 2006, the song was inducted into the Canadian Songwriter’s Hall of Fame and to this day remains one of the most recognizable Canadian songs of the 1970s.